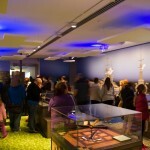 In 2014, Auckland Museum took up the challenge of engaging youths in an outreach project to mark the one-hundredth anniversary of the battles of the ANZAC troops who fought in the Gallipoli campaign in World War I. 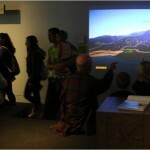 Although it was initially intended to be a only digital resource, the quality of the produced work and the great interest in the project all around soon led to the development of a major exhibition in 2015: Gallipoli in Minecraft. 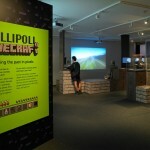 As an early adopter and innovator within a museum education environment, Auckland Museum took calculated risks on Gallipoli in Minecraft® in order to discover exciting new ways to access and share collections with the current generation of school-aged children. The Learning & Engagement team sees the co-design and co-development aspects of the project as an important way to authentically engage this audience while learning more about them, their interests and their motivations—a mutually beneficial two-way process. 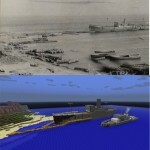 Working with youth to develop resources for youth has been part of the team’s approach for some years now, with Gallipoli in Minecraft® offering some major new insights into co-design and game-based learning. 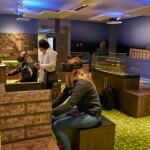 The Museum will continue to work collaboratively with school-aged children and youth to develop themes associated with the Museum’s collections and research, maintaining a strong digital dimension and always seeking to innovate.